The most rewarding way to explore the Mont-Blanc massif is by ski-mountaineering, an exhilarating combination of ascent right into the heart of the Alps, followed by a liberating descent in totally untouched powder. Using special heel-release bindings and 'skins' for the ascent, you can experience this high-altitude tour, enhanced by incredible views and untouched snow. Ski-mountaineers pass by the famed peaks of Mont Blanc, Monte Rosa and the Matterhorn in some of the most impressive Alpine scenery around and Original Travel offers the opportunity to enjoy a privately guided tour along the "Classic" Haute Route, closely following the original line taken by Marcel Kurz and Professor Roget in 1911. The six-day tour starts in Chamonix on the French side of Mont Blanc and finishes in Zermatt at the foot of the renowned pyramid peak of the Matterhorn in Switzerland. 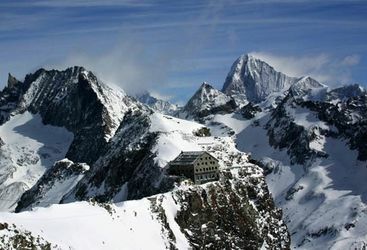 Skiing the Haute Route involves climbing over 15,000 vertical feet. Whilst the ascent is gruelling the reward is well worth it with over 21,000 feet of descent, often in wonderful powder conditions. The Haute Route is only suitable for experienced skiers who are fit, comfortable in tough conditions and prepared for less than five-star accommodation while en route. The hotels used by Original Travel in Chamonix and Zermatt should make up for any shortfall in comfort during the ski-tour itself. In Chamonix, choose from the Hotel Mont Blanc or the Hameau Albert 1er, offering four and five-star accommodation respectively. Any reasonably able skier can enjoy ski-mountaineering, and while the Haute Route may be the most demanding, experienced mountain guides lead a diverse range of shorter tours around the mountain peaks from December to the end of April. Harriet and Kate L are our 'The Haute Route' experts and as seasoned travellers they have the inside track on the most memorable adventures.